Project Learning Tree’s Teaching with i-Tree unit includes three hands-on activities that help middle and high school students discover and analyze the many ecosystem services that trees provide. Students input data they collect into a free online tool that calculates the dollar value of the benefits provided by a tree, or a set of trees. The activities can be used in formal classroom settings or with nonformal groups, such as scouts, students enrolled in afterschool programs, and visitors to nature centers and parks. They require minimal preparation and supplies, and work in urban, suburban, or rural settings. The value of trees and their role in mitigating greenhouse gases, improving air quality, intercepting stormwater, lowering a building’s energy use, etc. 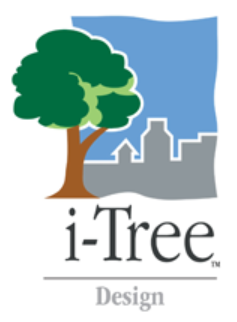 How to use i-Tree tools to develop plans to improve the environmental functions that trees provide on their school grounds or in their community. These investigations address concepts in biology, ecology, economics, language arts, and technology. In addition to developing content knowledge, students develop critical thinking skills and discover the importance of scientific investigation. The Teaching with i-Tree lessons are designed to move the learner from awareness and knowledge to challenge and action. Students become aware of the many products we obtain from trees, how we all depend on trees in our daily lives, and the value that trees provide to communities and the environment. They also learn the features of trees that are used in identification and practice identifying trees using guides and free mobile apps. Finally, students are introduced to the i-Tree benefits calculator. Students participate in a field study as they identify, measure, and assess the health of trees. They calculate the dollar value and ecosystem services of the trees using the i-Tree Design tool. Students use the information they gathered to create an Ecosystem Services Guide of the study site. They generate a tree improvement action plan and, if feasible, implement part or all of it. Students are challenged to apply what they’ve learned as they role-play being land managers. Students also gain skills in communicating and presenting scientific information. Through this activity, they learn about a variety of land manager and forest-related careers. 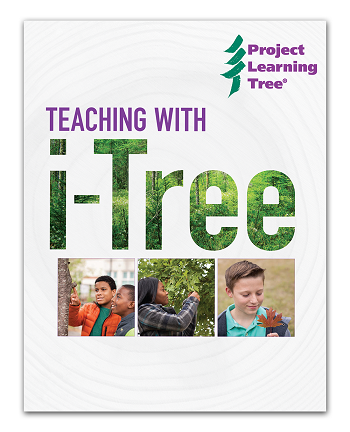 Download the Teaching with i-Tree activities. Teaching with i-Tree provides a structured alignment to national academic standards for both the Next Generation Science Standards and the Common Core State Standards for English Language Arts. See pages 3 and 4 for a list of the topics and standards addressed. This resource made possible in part by a cooperative agreement with the Forest Service, U.S. Department of Agriculture. Download a promotional flyer and help us spread the word about this new curriculum resource! Subscribe to our newsletter to receive notice of new resources that support this and other PLT curriculum, plus ideas for engaging children with nature in both a formal classroom and nonformal setting.